The city of Louisville has one of the highest asthma rates in the U.S.
AIR Louisville was a community program that used smart connected inhalers to help improve the asthma problem in Louisville. AIR Louisville enrolled 1,147 citizens of Louisville to improve asthma for everyone. We have a limited number of sensors available to the community at no cost, thanks to generous funding from the Robert Wood Johnson Foundation, the nation's largest philanthropic organization focused on public health. The goal is to equip thousands of citizens with sensors for their asthma inhalers that tracks when, where and how often the inhaler is used. This information can help patients manage their symptoms. It can also help city leaders make smart decisions about how to keep our air clean enough to avoid asthma attacks in the first place. 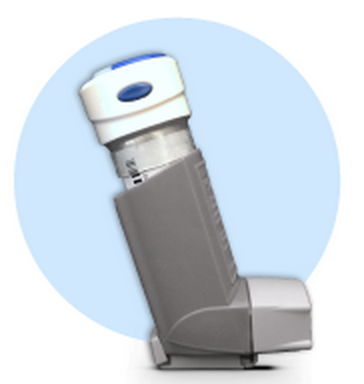 If you have asthma, using a Propeller sensor can help you reduce your asthma attacks. It can also help you work with your doctor to find out what triggers an attack in the first place. You will also be helping to build a map of asthma attacks in Jefferson County. City leaders will use this information to make smarter decisions about changes that will reduce attacks for everyone. I don't have asthma, but how can I help? We need your help too. We need business owners and doctors and executives to support this program. You can get the word out to your colleagues and employees. You can make this program part of your company’s wellness program. We want to change how we treat asthma in Jefferson County, and that means we need everyone’s help.